Leading MedTech product development and manufacturing specialist Arrotek has invested €80k in two new injection moulding machines for its Sligo facility. These machines will increase output to help the company meet a growing demand for product development and production services. The two new machines will also help Arrotek meet anticipated demand in the future. Arrotek is a specialist engineering company that offers highly-skilled product development solutions to the MedTech sector. Those solutions include concept development and viability analysis, product prototyping, manufacturing, and more. Arrotek is also a member of the Atlantic MedTech Cluster. The two injection moulding machines it has invested in are the Boy 30D and the Boy 25E. 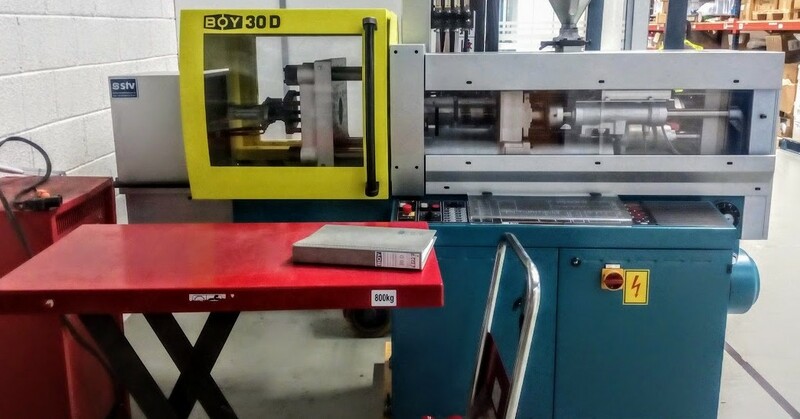 Boy 30D – the Boy 30D is a fully hydraulic reciprocating screw injection moulding machine with a two-platen clamping unit. It’s designed to produce precision parts that have a close tolerance so is ideal for micro-moulding and medical device applications. Boy 25E – the Boy 25E is based on the Boy 22, a moulding machine first launched in 1968. The main difference is the fact the Boy 25E has a clamping force of 250 kN. Differential injection is also possible with the Boy 25E, plus it offers faster injection speeds. It also provides excellent reliability in addition to high-precision injection moulding.